Looking like a spin-off from a runner’s Starting Block, angled ledges almost put flight to these shoes. 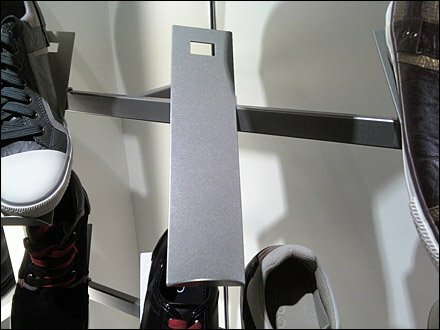 Saddle Mounted on Bars, they can be positioned anywhere along the length of the display. 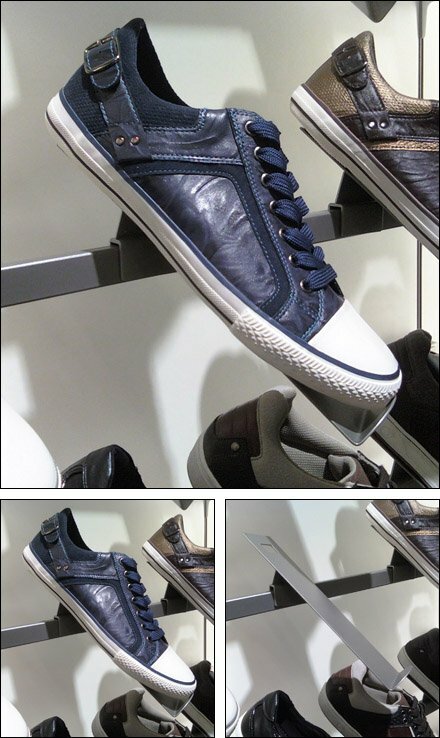 The Shoe Sale Starter’s Block overall effect is dynamic, is as the outfitting; s response to changing needs. CLICK the thumbnail for a closeup front view.